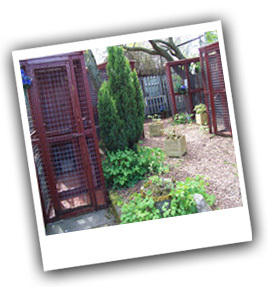 All our cat pens are outdoors, situated in garden areas where bird life is prominent, giving the cats something to keep an eye on. 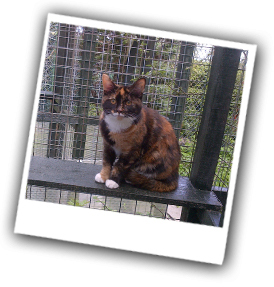 We have a range of different types of enclosure which all consist of an indoor area where all cats are given a heated bed and blankets along with food and water. In the outdoor area a litter tray is provided along with a small shelf for them to sit on and sometimes sunbathe when the weather allows it. 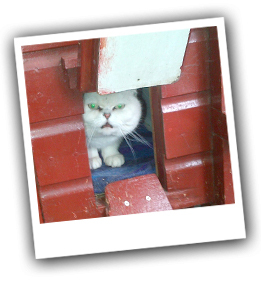 All cat pens can be heated and allow 24 hour access to their outdoor area. Some pens are bigger than others allowing us to board more than one cat from the same family. Cats are fed a dry complete high quality food, which most cats thrive on. We also have a complete range of Whiskas cans and pouches (including kitten and senior). Tuna and chicken can be supplied to encourage the fussy eaters. If your cat is on a special veterinary diet we cannot supply this but if you provide it with your cat we will certainly feed it. If your cat requires any special kind of care please explain this to the staff and if we can help in any way we'll be glad to do so. 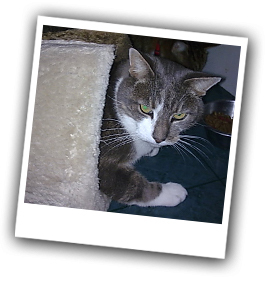 Elderly and infirm cats are our speciality and they will be treated with plenty of TLC. There is always a vet on call should anything be needed. If any cat is on medication make sure enough is brought with the cat so that the staff can continue with it. Unfortunately we cannot accept animals that need to be injected even if this is just for diabetes.